In children, it is widely recommended to avoid, or at least minimize, ionizing radiations. Ultrasonography and more recently MRI have become more widespread in clinical imaging departments. Even if MRI is sensitive to breathing artefacts that are not easily avoidable in children, ultrafast sequences that reduce them substantially are now widely available. 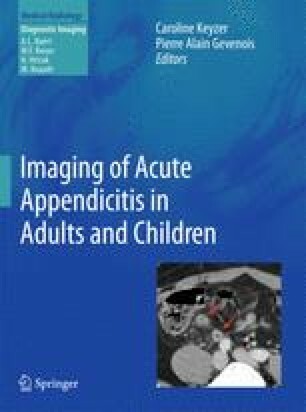 MRI is thus an attractive alternative imaging technique in children suspected of acute appendicitis, with high negative predictive value, and sensitivity and specificity slightly superior to those of CT.